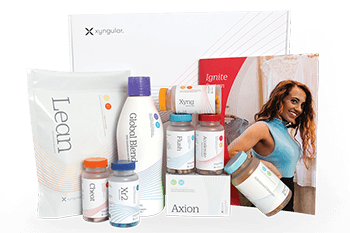 Xyngular makes it possible to see real results in just 30 days. The Ignite system begins with an 8-day jumpstart designed to ignite your metabolism and your health, even faster than the Core system. This period is designed to start cleansing your body of harmful toxins, and to “jumpstart” your weight loss. Your metabolism and digestive systems can quickly get readjusted during your jumpstart. This helps you to start losing weight, and gain back your energy and health. But the Ignite system is so much more than just another quick diet fix – with Ignite, you’ll start learning how to live a healthier lifestyle for the duration of your 30 days and beyond. Ultimately, the 8-day jumpstart is here to help you start building the healthy habits now. Bad habits are hard to quit, and good habits can be hard to maintain. By going all out and full force with the “Jumpstart Your Weight Loss”, you’re making your mind up to change for the better. You can become more of who you want to be through the habits you build for yourself and the 8-day jumpstart gives you the support and confidence to do so. One of the key features that has made the Ignite system so successful is the delicious meal plans we’ve created, each tailored to your individual needs. Every body is different, so of course a one-size-fits-all approach won’t give you the results you’re looking for. That’s why with Ignite, you’ll have options. With dozens of recipes to choose from, you’ll have the delicious variety you and your family will love. These meals will keep you on track and taste so good, you might forget they’re great for you! Just choose between the expert-designed low-carb meal plan, or the cutting-edge keto plan, based on your personal needs. The low-carb plan helps you manage your excess carbohydrate consumption. These extra carbs turn into excess sugar in your body, which then becomes stored as body fat. By reducing these excess carbs, your body can begin to use the stored fat as fuel, helping you slim down. You may have heard of the “keto” trend that is trending throughout the health industry, or you may know someone who’s tried it. Keto is short for “ketosis,” which is a process your body enters to use fat as its primary energy source, rather than glucose or sugar. Ignite’s keto plan helps your body start to use its extra stored fat as ultra-efficient fuel, helping you drop pounds and inches. But in addition to the 8-day jumpstart and your meal plans, Ignite also gives you access to one of Xyngular’s most powerful tools to help you stay accountable and on track. One of the most innovative parts of the Ignite system, and one of its most effective, is a virtual coach named Xander. Have you ever wanted to have a personal trainer and coach like a Hollywood star to keep you on track, answering your questions and motivating you? 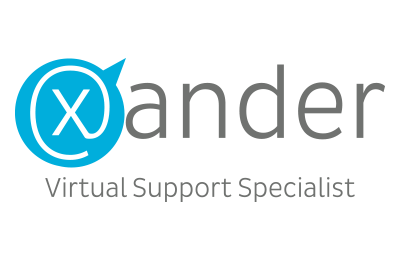 Xander is Xyngular’s virtual assistant, and he’ll be guiding you through every step of your Ignite system experience. With daily reminders and important information, Xander will help you get the very best results possible. Got questions? Xander has answers! Whether you’re wanting to know what time to take which Xyngular products, or whether something’s on your meal plan, just send him a text. He’s got answers for you. Accountability is so important to achieving lasting results, and Xander delivers. He’s just one more reason why Ignite is one of Xyngular’s absolute best value deals. You deserve to live the life you want. You are worth the investment in your health. Change can be intimidating at first, but it doesn’t have to be hard, and you don’t have to go through it alone Make the change, and start your own Ignite system today. Where will you be in 30 days?